Marketing company Kalbe International has re-appointed Mindshare, the global media agency network part of GroupM & WPP, as its media agency following a pitch. The agency is contracted for a period of one year with an option to extend for another. Mindshare has been the incumbent media agency for the company since 2008. 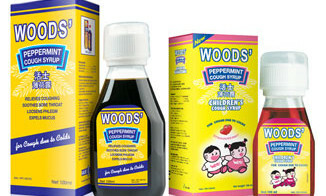 The account will be for the Singapore market and the agency will work on all media planning and buying duties for the company’s Woods’ cough medicine with work expected to be rolled out in the third quarter of this year. Kalbe International is a global marketing company mainly handling the trading and export transaction of Kalbe Farma’s group of businesses such as Woods’, Procold, Mixagrip and Neuralgin. Budweiser had the largest percentage increase in share of voice because Egypt's goalkeeper refused the Budweiser branded "Man of t..